Teddy Bears are classic toys enjoyed by all. No other item can bear your company name better than a custom Teddy Bear! A promotional stuffed teddy bear or any other furry friend are great gifts for fund-raisers, non-profits, and children. But these Teddy Bears are not just for kids! Logo Teddy Bears make the very best friends! We can offer you a wide selection of animals and sizes to choose from. We imprint your logo or message on the tee shirts! Give lots of love and hugs. 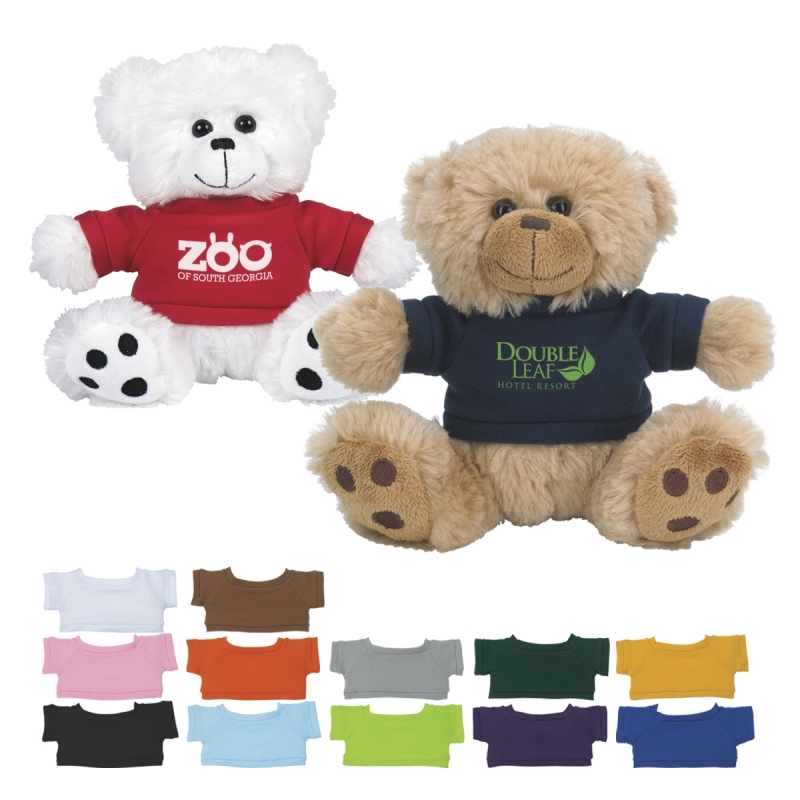 The joy you will share by giving one of our logo teed bears will keep your brand name in front of your customers and employees. Nothing makes you feel warm and fuzzy like a teddy bear. The minimum for this product starts at 50 pieces and basic pricing starts at about $9.50 each! . Of course the more you purchase the lower the price! Contact us for a quote!